Posted on 22, February 2018 by EuropaWire PR Editors | This entry was posted in Finland, Industrial, Technology, Transportation & Logistics and tagged drilling, drillships, Frederik Smidth, Maersk Drilling, rigs, semi-submersible rigs a, Tamara de Gruyter, Wärtsilä. Bookmark the permalink. HELSINKI, 22-Feb-2018 — /EuropaWire/ — The technology group Wärtsilä and the global drilling contractor Maersk Drilling have joined forces in a unique co-operation to create a 25-year thruster maintenance strategy for Maersk’s three semi-submersible rigs and four drillships. The parties have already completed the strategy work on the D-rigs and commenced the strategy work related to V-Drillships. By reducing the thruster exchange time, the deep-sea rigs and drillships will spend less time in sheltered waters for thruster maintenance. The joint strategy defines the planning procedures for scheduled maintenance as well as thruster services and equipment exchange in emergency scenarios. The new, close collaboration reflects the long-established partnership and mutual trust between Wärtsilä and Maersk. Increased understanding of one another’s operations and demands helps the two companies to plan and further develop the optimal and most efficient ways of executing thruster maintenance. With open exchange of information and knowledge, Wärtsilä and Maersk can also adopt a holistic view of the maintenance needs for a fleet of vessels over an extended time period, and thus optimise logistics and cost efficiency. “This is an important step for us: Wärtsilä and Maersk Drilling are taking co-operation to a new level, working as one team to ensure that operations on Maersk’s drilling rigs can proceed without unnecessary interruptions. We are proud to partner with Maersk Drilling and look forward to a long and fruitful relationship,” says Tamara de Gruyter, Vice President, Propulsion System Services, Wärtsilä. “Our fleet operates in remote locations and very demanding weather conditions, which poses a challenge to maintenance. Together with Wärtsilä, we have created a comprehensive strategy that takes into account a variety of realistic scenarios and provides detailed responses. It is clear to us that this kind of intensive collaboration produces tangible results and benefits for both companies and our customers,” says Frederik Smidth, CTO, Maersk Drilling. Wärtsilä’s scope of supply includes spare thrusters, and long-term storage maintenance. 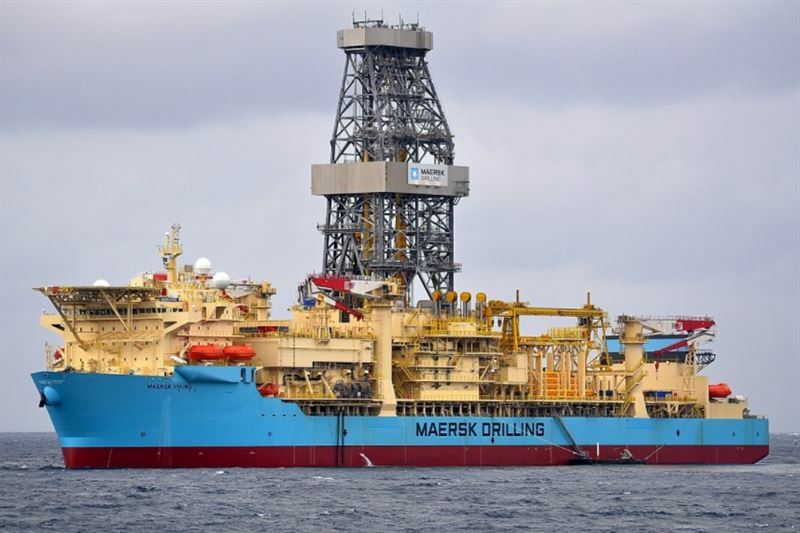 Maersk Drilling semi-submersible rigs Maersk Developer, Maersk Discoverer and Maersk Deliverer are equipped with eight LMT-FS3501 thrusters each. Four new spare thrusters will be delivered during 2018 and added to the four existing spare units. By having a full set of eight spare thrusters it is possible to reduce the shutdown period significantly by hot swopping all eight thrusters with the spare units. This provides additional flexibility to planning shutdowns in collaboration with clients to ensure minimal impact on operations.